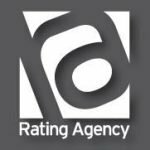 Rating Agency was founded in 2007 by Mr. Gjorgi Spasov who has a PhD in public opinion research, and has conducted the first public opinion poll in Macedonia while employed at the Institute for Social Science and Research in the beginning of the 70’s. We offer research-based consultancy across all disciplines, working in partnership with clients, setting achievable goals, developing open communication and offering interpretation, insight and advice. We have a network of 250 professional and experienced pollsters, supervisors and coordinators from all regions of the country. Rating Agency’s team consists of eminent experts that work according to the world trends in the research and communication industry. Our communication specialists have worked on numerous election campaigns for central and local governments on the Balkan Peninsula, including Macedonia, Kosovo, and Bulgaria. Our efforts have been crucial in influencing public opinion and achieving social change.